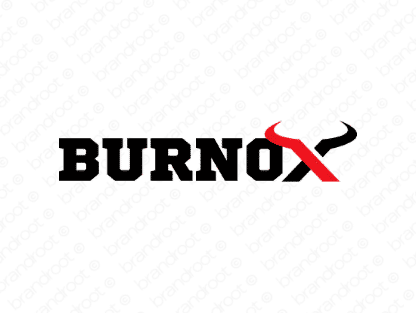 Brand burnox is for sale on Brandroot.com! A powerful and potent mix of "burn" and "ox". Burnox is a strong and distinctive brand with a bright and ferocious character. Ideal for heavy industries or safety and security brands. You will have full ownership and rights to Burnox.com. One of our professional Brandroot representatives will contact you and walk you through the entire transfer process.